Mr Play is still a relatively new online casino at the time of writing but has been busy establishing itself in the notoriously competitive market. The team behind the brand have adopted a simple approach in the pursuit of success. They’ve built an enviable collection of the very best games, some eye-catching bonus opportunities which will appeal to a wide variety of players and straightforward user experience which makes sure that registering an account and navigating the Mr Play website is a doddle. Despite its comparative youth, the casino is already licensed by the Malta Gaming Authority, Swedish Gambling Authority and – impressively – the notoriously strict UK Gambling Commission. With all those ingredients in the mix, Mr Play has the makings of a successful online casino. But can it deliver on such promise? 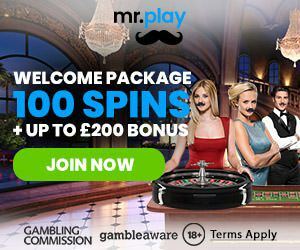 When doing the Mr Play casino review i was struck by the unassuming site design, with a simple white and blue colour scheme only interrupted by the presence of black coloured fonts on most of the text as well as the site’s distinctive curly moustache logo. The simplicity of the design creates a homely feel that is welcoming if a little indistinguishable from the myriad of other casinos currently in operation. The sense of familiarity is likely to please many. You can complete the registration process in more than two minutes (there’s no need to verify via email or text) and start browsing the site immediately. Virtually everything is available within a single click of the home page. Mr Play uses content sparingly, placing the emphasis firmly on its games, of which there are many. The core functions and controls are available through the My Account section, which enables you to set deposit limits, reality checks, check your balance, instruct cash withdrawals and redeem bonus opportunities. The games are separated into three core sections – casino, live dealer casino and scratch cards. The casino section is the biggest, as you’d expect, and contains all of Mr Play’s vast array of video slots. The live casino provides a small selection of roulette, blackjack and baccarat games beamed in from real life casinos while there are 21 different scratchcard games to play in the relevant section. I’ve spent the most time in the casino section, which is reasonably well organised and looks good too. The slot games are arranged into subsections by type, although the subcategories themselves are a little jumbled. You can see ‘Casino Scratch’ and ‘Instant Games’ together, but they are offset against the random inclusion of ‘fantasy’ themed games. None of the other casino games are arranged by theme, so the thinking seems a bit jumbled. The game’s grid itself is well presented, however, with bright, rectangular thumbnails. Again, the visuals aren’t revolutionary but they do exactly what they should – and that provides easy access to the casino games. As I briefly mentioned, the Mr Play login and registration process couldn’t be easier. I was thinking to myself a while back that I should start timing myself registering to see which site is the quickest. If I’d done it. I expect Mr Play to be near the top of the list. I was done and dusted in what felt like seconds using autofill for my address and picking a six character plus user name and password combo. You are here presented with an overlay encouraging you to add a spending limit a reality check up front. You can also click through to deposit, but there’s no obligation if you’d prefer to browse first. The site will log you out if you remain inactive for a while. These simple safety and responsible gaming additions may seem simple but are easily missed when new casinos have so many different development priorities. Players save their login details to a preferred browser for easy one-click access. Logging in takes you to the homepage, which includes easy access to many of Mr Play’s casino games and the cashier function. Mr Play games catalogue are a fine collection slots, live dealer and progressive jackpot games. More impressive still is the regularity with which the site replenishes its catalogue with new titles from many of the biggest providers in the industry. At the time of writing, they have just added a bunch of new slots from a variety of providers including the big boys, like MicroGaming and Play n’Go alongside boutique designers such as Pragmatic Play. New NetEnt dealer games including French Roulette are typically available on the day of release and often with a free spins bonus as well. In total, over 30 different studio contribute online slots to the Mr Play canon. It’s hard to believe that the site has been in operation for just over a year based on its games collection alone. It’s one of Mr Play’s biggest attributes. Lots of slots and other casino games simply presented in a user-friendly format. Another highly impressive feature is the inclusion of a little ‘Information’ button with most casino games. I didn’t know what to expect when I first clicked one of those but was surprised to be transported to a full-on demo and review of the game in question. This is where the site is indeed content heavy, and it’s mightily impressive. The game tutorials are useful and for any online gaming brand to employ content writers to develop guides of this type is impressive. It enhances the playing experience, particularly for browsers who are looking for new games to play. The live casino games are perhaps less impressive in their scope but the blackjack and roulette games which are there impress. The inclusion of a whole ‘scratch cards’ section is unusual but presumably indicative of plans to come. If you want a straightforward gaming experience with lots of different games – and a regularly enhanced catalogue, Mr Play is worth your time. The Mr Play bonus allows players to benefit from three deposit bonuses when you register as a new player at Mr Play – and each includes both cash rewards and spins. Your receive a 100% first deposit bonus, allowing you to double your money up to a maximum of £50. In other words, if you deposit £30, you will receive £30 in bonus cash. Deposit the full £50, and you’ll get another £50 on top. The minimum deposit amount is just £10, lower than the £20 limit imposed by many of its peers. The first deposit also features bundles of 20 free spins on NetEnt staple Starburst, the first of five bundles received across consecutive days on different days. I’ll discuss the free spins element of the deposit bonuses in greater detail in the next section of the review. But the cash bonuses don’t start and end with your first deposit. However, you do need to deposit a minimum of £20 to access the 2nd and 3rd deposit bonuses, and you receive a 50% deposit up to £75 with both. Wagering requirements of x35 apply to your cash bonus. The UKGC have decided free spins with wagering requirements are not free spins, as a consequence Mr Play moved away from offering free spins no deposit bonuses. Instead the welcome offer cash bonus is decent, but given that the only double-your-money is capped at £50, you could hardly describe it as stellar. It’s the free spins which accompany the cash bonus which is more likely to ensure prospective players sit up and take notice. In total, you benefit from 100 free spins when you first register with Mr Play. They are shared in bundles of 20 free spins across your first five days as a member. You immediately receive 20 free spins on Starburst with your first deposit, followed by 20 Finn and the Swirly Spin bonus spins the following day. On the three days which follow that, you receive three more batches of free spins – on the excellent Book of Dead, VIP Black and Aloha! Cluster Pays respectively – bringing your total up to 100. x35 wagering requirements apply to any winnings generated from the bonus spins. x35 wagering requirements apply to both the bonus cash and winnings generated from free spins. You don’t need to use a Mr Play bonus code or voucher to secure your welcome bonus. We can’t find much evidence that the online casino uses bonus codes at all. 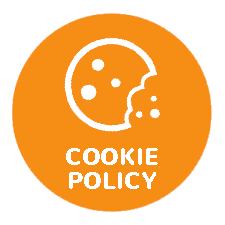 Instead, you can fulfil the criteria to secure the extras, but you can opt out if you would rather not take advantage of the bonus opportunity. The Mr Play customer support team are available by live chat, email and telephone. The live chat function is easy to use and harnesses familiar technology. You click the box, pick a topic and wait to connect. We’ve used it a few times, and it generally doesn’t take long before you’re connected to an agent. The only downside at the moment is the lack of 24/7 support. This is tempered by the relatively long opening hours of the service, with live chat available between 6 am and 11 pm UK time. Night owls in Europe and players on the other side of the world will have to wait though. The support team themselves and knowledgeable and friendly from our experience. Withdrawal limits are capped at £7000 a month, and in general, withdrawal requests are processed quickly. Depending on your choice of banking methods, you can expect your cash to appear in your account within 0-4 days. Requests to E-wallets like Skrill Neteller and Instadebit are completed within 24 hours while more traditional payment methods like bank transfers can take up to a week, while withdrawals to credit and debit cards typically take a couple of days to finalise. The Mr Play team welcome queries regarding withdrawals and will help you if problems arise. Mobile casinos are a crucial component of any online casino’s overall offering to the market, and they have become more sophisticated over time. As is typical of the team’s approach, Mr Play has developed a simple approach by developing a mobile casino which isn’t just redolent of its web-based sibling; it’s near enough identical. Even the main menus are exactly the same because they use a burger menu in both, which you can open up when you want to navigate to the most important sections of the website. The similarities make it easy for players to flit between laptop and mobile play. You can also use a full cashier function and live chat from your smartphones and tablets as well. It’s a fully functional mobile casino. All deposits are instant. Withdrawal time for VISA and Mastercard is 6-8 days. All other payment methods are 3 days. Be the first to review and rate Mr. Play Casino!